Dec. 21, 2011 — Golden representatives will continue to negotiate with officials from Arvada, Jefferson County, the Jefferson Parkway Public Highway Authority, and the Colorado Department of Transportation (CDOT) on issues related to the proposed Jefferson Parkway and related transportation improvements. There is no meeting scheduled for this Thursday and there is no set timeline for making a decision at this point. 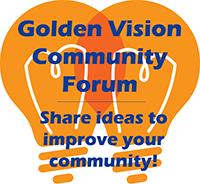 The City of Golden is still negotiating measures to ensure that Golden is protected well into the future. The negotiations were convened earlier this year by Governor John Hickenlooper and CDOT Executive Director Don Hunt in an effort to resolve a long-running conflict between neighboring jurisdictions. More details will be posted to CityofGolden.net and GetTheFactsGolden.org as they become available. Golden citizens who aren’t currently receiving emails with the latest information but want to receive those updates should fill out the form on the homepage at GetTheFactsGolden.org.